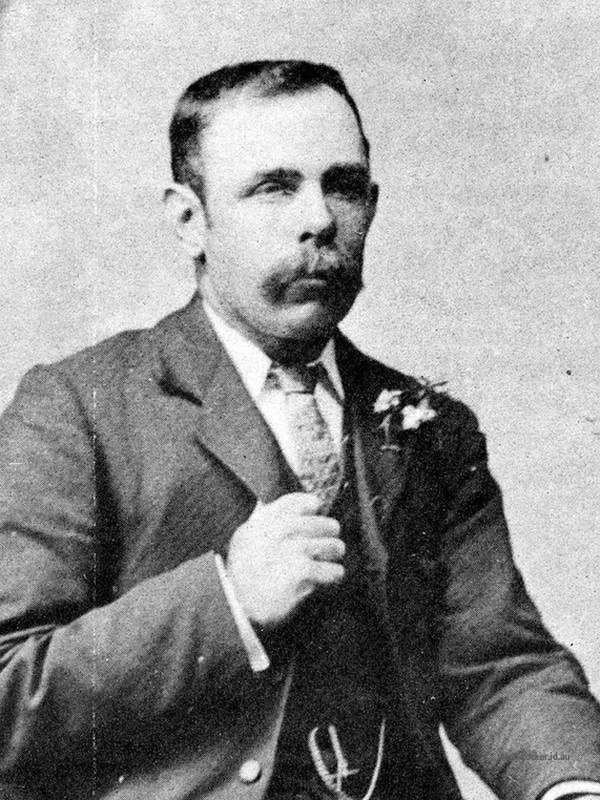 3-Charles Alfred Walker was born on 10 Apr 1871 in Westbury, Tasmania, died on 24 May 1953 at age 82, and was buried in May 1953 in Wesley Vale Uniting Church, 11/1. Charles married Hilda Mary Badcock, daughter of William Badcock and Susan Anne Scrivener, on 22 Apr 1903 in Glenore, near Hagley. Hilda was born on 14 Oct 1880 in Westbury, Tasmania, died on 25 Jan 1969 at age 88, and was buried in Jan 1969 in Wesley Vale Uniting Church, 11/2. Charles Alfred, Thomas and Rebecca's second child and eldest son, lived and worked on his father's farm Spring Rises until his marriage to Hilda Mary Badcock. 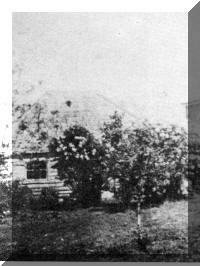 Thomas had acquired land at South Riana and among other farm activities Charles and others took stock to this property. There were quite a few problems encountered in those days with such a journey: dense bush, and several rivers to swim. Charles also moved the threshing machine owned by Thomas from one place to another, with a team of bullocks, until Thomas purchased a steam traction engine in 1905. In 1900 when three of Charles' brothers, Harry, Allen and Tasman contracted pneumonia, Charles did most of the nursing. Harry and Tas recovered but Allan died. This would have been no mean feat of nursing in the days prior to antibiotics. 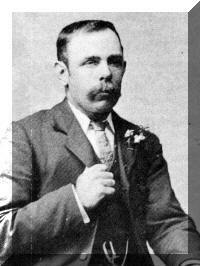 In 1893 Charles' grandfather Michael married for the third time. Charles was amongst those who tin-kettled him. Michael told his son Thomas "he would skin that boy, for tin-kettling his old grandfather". Charles and his brothers figured in another escapade during an evening function at Exton. A tied horse, patiently waiting to take its owner home, was decked out in a pair of ladies combinations borrowed from a nearby clothes line. 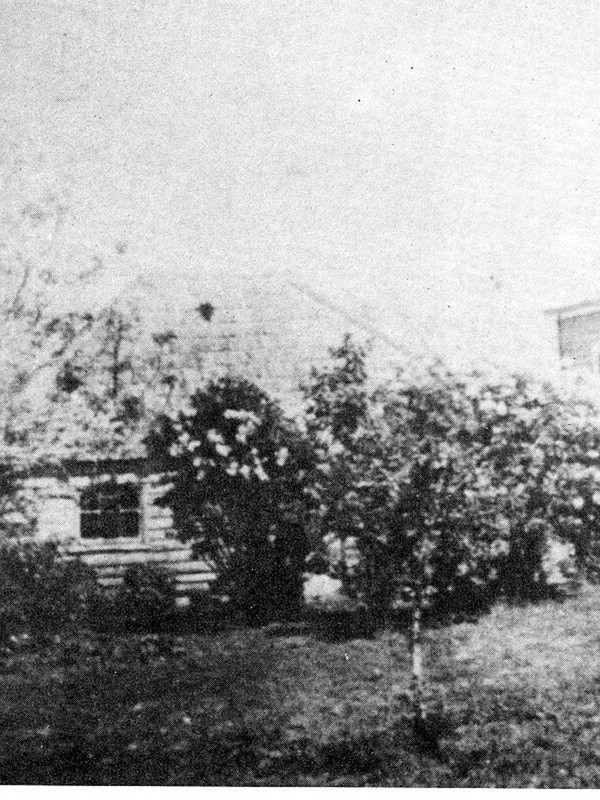 Charles married his first cousin, Hilda Mary Badcock, in 1903 and for four years farmed, close by to Spring Rises, a small farm on the Exton House Estate. 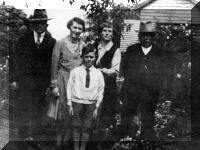 After this time, with their son Reg they moved to Wesley Vale six miles from Devonport. They drove the 40 miles in their jinker, accompanied by Charles' sister, Florence, and camping overnight on the road. Charles' brother Harry and cousin H. D. Scott (Flick) drove the wagon and dray with their belongings. The home on their property and Sea Brook was one of the first weatherboard houses built in the area and was in rather bad condition, at times such that "a cat could jump in through a hole in the roof over their bed". However, within a few months they had four new rooms and a verandah built for the cost of £236 and used the old home for a kitchen, dairy and wash-house. Later as they could afford it they built on several times, and it is now rather a large home. Their only daughter Florence and her husband Allan McWhirter still reside there. When they moved there, a large part of the farm was bush and all fences log. Much hard work was required to put it in reasonable order. About 19 years later, Charles bought another property a mile nearer Devonport, where Reg and his wife Lucy lived after their marriage. 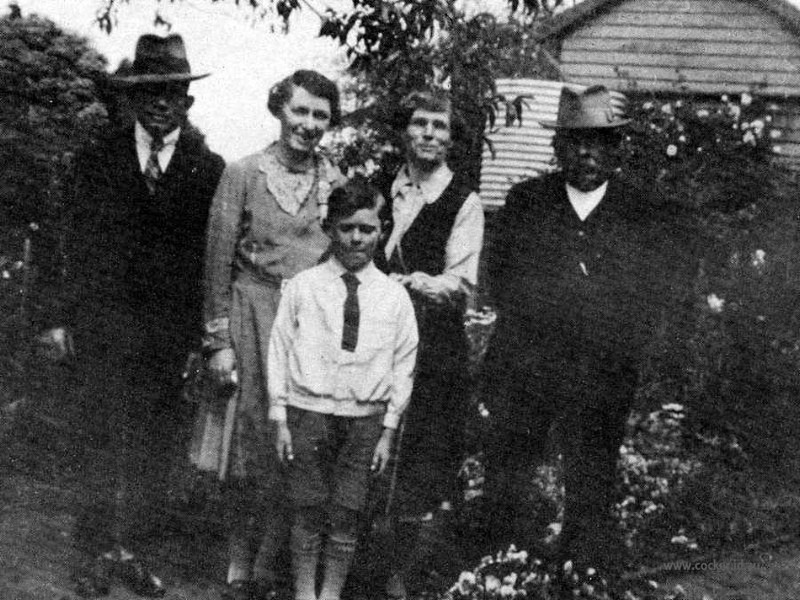 Charles and his family carried on the family tradition of being active in the life of the Methodist Church. Daughter Florence was permitted to obtain her driver's licence at the age of 17 years to show the new ministers around the district. As his father and grandfather did before them, Charles and Hilda celebrated their golden wedding anniversary as also did their son Reg. Charles was quite ill when he celebrated this anniversary in 1953, but managed to enjoy the company of his new and only grandson Gilbert. In the same year Charles died at his home, aged 82 years, after having been devotedly cared for by his family. 4-Reginald Charles Walker was born on 1 Apr 1904 in Exton, Tasmania, died on 9 Oct 1986 at age 82, and was buried in Oct 1986 in Uniting Church, Wesley Vale, Tasmania. Reginald married Lucy Rosina Peirce, daughter of William Henry Pierce and Marion Stott. Lucy was born on 30 Sep 1912 in Mersey Vale Road, died on 26 Mar 1995 at age 82, and was buried in Mar 1995 in Uniting Church, Wesley Vale, Tasmania. They had four children: Rosemary Anne, Nora Marion, Elaine Hilda and Gilbert Charles. 5-Rosemary Anne Walker was born on 7 Aug 1938. Rosemary married John Douglas McLaren. John was born on 16 Feb 1928. They had two children: Michael William and Anne Louise. 6-Michael William McLaren was born on 26 Nov 1959. 6-Anne Louise McLaren was born on 2 Jan 1968. 5-Nora Marion Walker was born on 26 Jul 1945. Nora married John Reginald Davis. John was born on 25 Sep 1943. They had four children: Karen Maree, Vicki, Colin John and Andrew. 6-Karen Maree Davis was born on 28 Feb 1969. 6-Vicki Davis was born on 5 Oct 1971. 6-Colin John Davis was born on 15 May 1974. 6-Andrew Davis was born on 6 Aug 1977. 5-Elaine Hilda Walker was born on 7 Jun 1948. Elaine married Terry John Bellchambers. Terry was born on 26 Dec 1946. They had two children: Clay and Kris. 6-Clay Bellchambers was born on 5 Oct 1974. 6-Kris Bellchambers was born on 6 Aug 1977. 5-Gilbert Charles Walker was born on 6 Dec 1952. 4-Florence Ethel Walker was born on 5 Jan 1910 in Wesley Vale, Tasmania. Florence married Allan Alexander McWhirter. Allan was born on 30 May 1915. 4-Thomas William Walker OBE was born on 17 Jul 1923 and died on 5 Sep 2005 in Home at age 82. He served in the Second World War and was an RSL state president. Thomas married Leonore St. Ledger. Leonore was born on 25 Jul 1922.